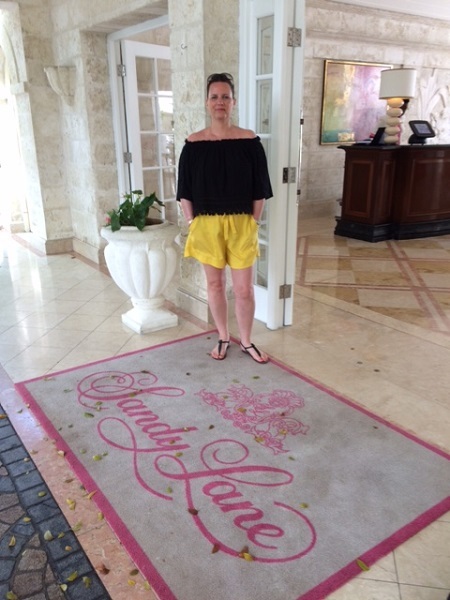 Lisa Robinson, Manager of our travel agents in Colchester, spent some time looking around the luxurious hotel options in Barbados. Here’s why she would recommend this holiday to a range of different people. The outward flight was great, as we were very lucky to be upgraded to Club Class complete with access to the BA lounge. This gave us a chance to have a light snack and a glass of Champagne before we boarded our flight. The seats were great with the option of a lay-flat bed, plenty of entertainment choices and excellent food and drink. The service we received was fantastic and one that I would most definitely recommend. Unfortunately, the return flight was not so good. We were still lucky to fly home in World Traveller Plus, however, my seat was broken and the inflight entertainment did not work for the first two hours of the journey. The food wasn’t very good and I was not impressed with the service on board. The flight was very busy and there was an issue with overbooking, so the BA staff were a little harassed, to say the least. It was a shame, as this was shown in their manner towards passengers. This is a great property that’s suitable for families and groups of friends. The resort consists of 57 two, three and five-bedroom apartments. Each residence is stylishly designed with each bedroom having en-suite facilities. They offer luxury home-from-home amenities with a lovely lounge area, a fully-equipped kitchen and a laundry room. Each also has a large balcony or terrace with an outdoor dining area and a Jacuzzi, many of which overlook the pool and the beach. The property is situated on a quiet beach close to Speightstown on the North West coast and approximately 45 minutes from the airport. The resort offers a kids centre, water sports, a well-equipped gym and a yoga studio. There is the option to book a private chef or you can create a shopping list of groceries and they will be in the apartment when you arrive. The pool bar offers breakfast, lunch and dinner. A complimentary shuttle or water taxi will take you to nearby restaurants and the sister property Port Ferdinand, where there are a couple of really nice restaurants. By the end of the year, there will also be a Nikki Beach Club offering great food and entertainment. If you like the idea of a self-catering holiday, there is a great choice of amazing quality restaurants nearby and some great beachside bars like Mullins, which is just a five-minute taxi ride away. This is the perfect property for families and group of friends that prefer to cater for themselves. The Coral Reef Club - Close to Holetown on the west coast. A member of Small Luxury Hotels of the World, this beautiful hotel has been owned by the lovely O'Hara family for more than 50 years. The property has 88 rooms and cottages situated in beautiful, well-kept grounds and the most breathtaking gardens looked after by head gardener Lloyd - who has been at the hotel for almost 30 years. If you’re lucky, you will spot a few friendly monkeys jumping in the trees and playing on the grass. There are lots of nice open areas in which to sit and relax, read a book or enjoy a local cocktail. The hotel has a relaxed atmosphere and the O'Hara family are often found walking around chatting to their guests and making sure they are being looked after. The rooms are large with a more traditional decor and are very bright and airy with all the facilities you would expect of a five-star hotel. The hotel offers al fresco fine dining overlooking the Caribbean Sea and the menu changes most nights. We were staying there on a Thursday evening, so were able to sample the very popular and extravagant weekly barbeque with amazing food and great entertainment. There is a great beach and the hotel offers complimentary non-motorized water sports. We were lucky enough to sample the wonderful spa they have in the resort too. It has a great selection of treatments and very friendly staff. It’s a great choice of hotel for guests looking for luxury but still with a relaxed, laidback vibe. I was lucky enough to stay at the Sandy Lane over 30 years ago and, at that time, I did not really appreciate the hotel's splendour and luxurious surroundings. So I was very excited to get the opportunity to stay at the hotel once more. 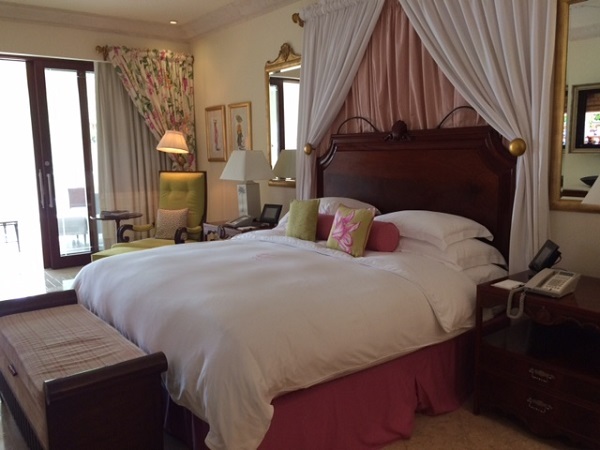 It is most certainly one of the world’s most famous hotels and it did not disappoint. We stayed in a luxury ocean view room which was amazing. The rooms offer all the luxuries that you would expect: the most comfortable bed, a huge bathroom, more wardrobe space than I have ever seen in a hotel room and a lovely furnished balcony overlooking the ocean. There’s a great entertainment system with over 400 music albums stored on the TV and the lights and curtains are operated from a pad beside the bed. Each room has tea and coffee making facilities and a complimentary bar offering soft drinks. The resort seems bigger than it really is because it is spread out amongst beautifully manicured gardens. It has a total of 112 rooms and suites and a five-bedroom villa. Being such a prestigious hotel, you would think it to be stuffy but the opposite is true. The hotel had the most wonderful atmosphere and the staff and management were so friendly and accommodating – they really made you feel relaxed and at home. The hotel offers a great choice of restaurants from fine dining to open-air beach and poolside cafes. We were lucky to be invited to the very popular Sunday Brunch which offered the most amazing buffet I have ever experienced. At a cost of approximately £100 per person, you would expect it to be good and it did not disappoint. The Sandy Lane is very popular with golfers and offers an 18-hole course and the famous Green Monkey course. There is a great beach and a large swimming pool with cascading waterfalls and they have a world class spa which we get to also experience. The evenings are fairly laid back with local bands playing in the open-air courtyard. My favourite parts of the trip were staying at Sandy Lane and enjoying a private catamaran trip to swim with turtles. Barbados is a great destination for all. There’s a great choice of accommodation suitable for families, couples and groups of friends. The Island offers great nightlife and top class restaurants to suit all budgets and tastes. Caribtours put together a great trip and gave us the chance to experience the most wonderful hotels and the best of Barbados. Thank you to them for a memorable time away and to Steve and Paul for the opportunity. If you would like to book your own luxury holiday on the beautiful island of Barbados, visit one of our travel agents on the south coast or throughout East Anglia.